With air passenger growth rising year after year in India, the airports business should have attracted investors by the hordes. But on the contrary, investors have been fleeing. 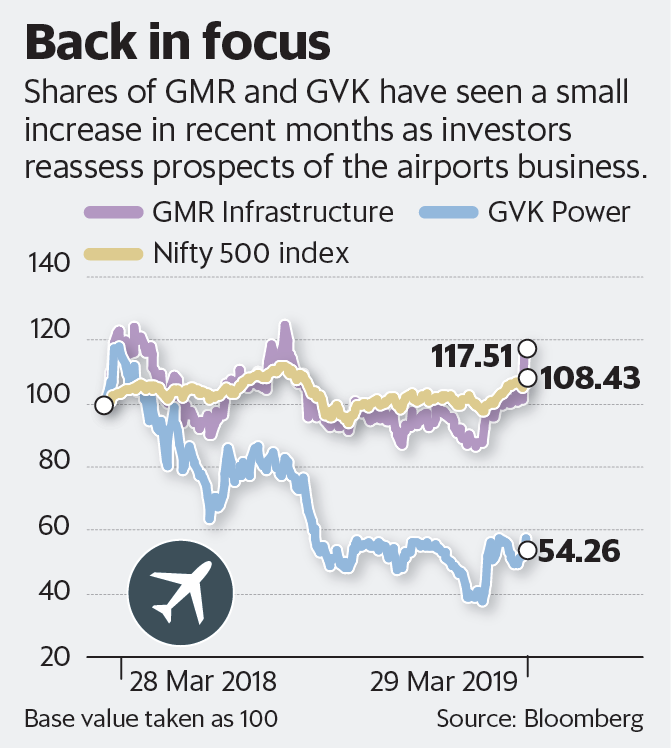 Shares of GMR Infrastructure Ltd and GVK Power and Infrastructure Ltd, who hold large stakes in Indian airports, have fallen 57% and 65%, respectively, in the past 10 years, compared to a 328% rise in the Nifty 500 during the same period. However, there is change in the air. Last week, the Tata group staged an entry into the sector along with international investors GIC Pvt. 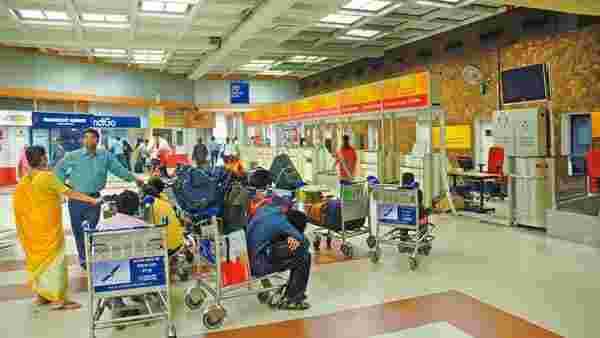 Ltd of Singapore and SSG Capital Management Ltd of Hong Kong, committing ₹8,000 crore for a stake in GMR Group’s airport business. There was fairly high interest in bidding for new airports earlier this year as well. Why the sudden interest in the airports business? Note that both GMR and GVK bore the brunt of regulatory changes such as adjustments in the user development fee by the Airports Economic Regulatory Authority of India. This led to fluctuation in profits, despite a steady growth in air traffic. Now, a new base access charge (BAC) regime is in place, which provides much more visibility on revenue accretion. Under the new model, revenues simply rise with an increase in volumes or the amount of air traffic handled. The investment by the Tata group-led consortium involves a higher payout if some conditions are met, one of which is the continuation of the BAC regime. In fact, one of the main reasons for the fairly high interest in bidding for new airports was better predictability on revenue. Earlier, tariffs were based on a cost-plus methodology, which capped upsides from revenues streams such as gains from real estate monetization. The new rules incentivize the concessionaire (operator), as it can retain upsides from higher non-aeronautical revenue such as real estate monetization and operational efficiencies that come from higher passenger footfalls. Growth prospects are fairly attractive. “The country needs to treble airports capacity at an estimated capital expenditure of₹2.4 trillion in the next 10 years, compared to ₹52,000 crore incurred over the last decade,” said Harsh Jagnani, vice-president and sector head (corporate ratings) at Icra Ltd. However, these positives aside, there are risks that cannot be wished away. The return of regulatory risks is well within the realm of possibilities, which is evident from the payout clause in the GMR deal. And this appears to be factored in the recent deal’s valuations. GMR’s airports business has been valued at₹18,000 crore by the consortium, with the higher payout (if conditions are met) set at ₹4,500 crore. This is materially lower than Edelweiss Securities Ltd’s estimate of a ₹24,600 crore valuation for the business.